After watching Spike Lee’s Do The Right Thing recently, I recall how I had read that the distorted camera angles and skewed perspective was attributed to Carol Reed and The Third Man. But this style of filmmaking dates back further as a tilted camera used to capture a perspective harks back to 1928, and Dreyer’s La passion de Jeanne d’Arc. Screened at the BFI in a new digital-restoration (due for release on Blu-Ray and DVD in the UK later this year) as part of the Sight & Sound Top 10 Films of All-Time, this is a perfect opportunity, following the analysis of Vertigo last week, to reflect on why it is held in such high regard. Barry Norman writes in 100 Best Films of the Century that The Passion of Joan of Arc though “regarded by many purists as seminal” could have become “simply [a film] which scholars like to pore over”. 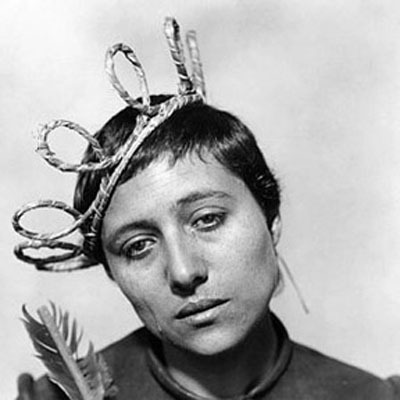 Like Vertigo and Citizen Kane, The Passion of Joan of Arc became a difficult film to get hold of. Indeed, critics and scholars a-like had a tough time hunting the film down. In the case of The Passion of Joan of Arc, it was believed lost for many decades until it was found in a Norwegian psychiatric institution in 1981. Is a pattern emerging that, to gain recognition, a film has to be inaccessible and almost-mythic in its status before ‘re-emerging’ and taking the world by storm? Then again, despite it’s inaccessibility, it still managed to appear in the Top 10 of the poll in 1952, 1972 and 1992 (in a strange quirk of fate, it seems to disappear for 20 years at a time … we shall next see it in the Top 10 in 2032, rather than 2022 I predict). Dreyer was comissioned to make a film for France by Societe Generale de Films and had to choose between Marie Antoinette, Catherine de Medici or Joan of Arc. He chose the latter and built sparse sets to emotively portray the trial itself that led to her martyrdom. In that regard it is a clear-cut story – a woman, Joan of Arc, claims she is the daughter of God and has been sent to defend France from the English. 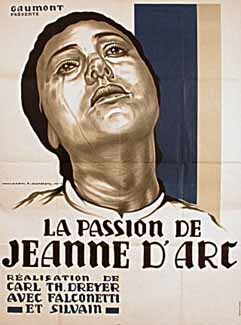 Set in the 15th Century, The Passion of Joan of Arc seems to balance historical sentiment with a contemporary aesthetic of the late 1920’s. 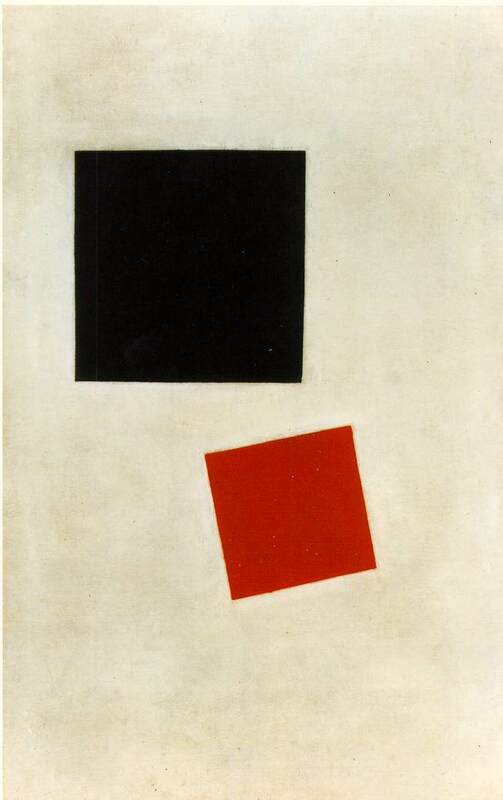 As an example, you only have to look at the style of Russian artist Kazimir Malevich to see a clear parrallel with the emptiness and sparseness Dreyer chose to create in his film. Eileen Bowser wrote how “the set-designer was Hermann Warm”, an expressionist designer who worked alongside Robert Wiene on The Cabinet of Dr Caligari. Bowser explains how, for The Passion of Joan of Arc, he created sets which were “minimal, bare, [and] devoid of extraneous decoration”. This type of minimalism forces you, as a viewer, to analyse intently the faces of the characters on screen – the subtle change in expression on the faces of the monks; the pain and purity of Joan. 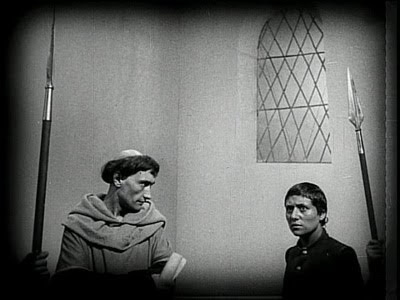 Every shot is exquisitely framed, whereby either Dreyer has perfectly contrasted the background with the foreground – the opening shot portrays the monks and men shuffling and moving in the foreground (akin to the audience before the film started) as the chair and guards wait in the background: Static and prepared for the trial to begin. Then, as the questions begin, the extreme close-ups of the monks and Joan, force their faces to dominate the screen. When she looks up, her neck arches and cranes – whilst the older men look sinister and fearful, sometimes a subtle zoom-in dictate the imposing prescence of the monks. Almost as if Dreyer’s camera itself is going for a closer inspection – what, truly, are the motives of the characters. The tears which stream down Joan’s face seem to create a sense of truth. In contrast, the monks seem to hark back to the Renaissance frescoes portraying the Medici family walking alongside the Magi at Christs birth; They are old and corrupt – and they believe they are closer to God. The devil they speak of, that they claim Joan has spoken to, seems to be more active in them than of Joan herself. Two stand-out sequences remain fascinating. Joan, in the torture chamber, as the camera cuts between her reaction to questions as torture devices turn and threaten her. Though the camera seems to be static often in the film, in this sequence, the camera follows a wheel of wooden-spikes and remains static as the wheel turns uncontrollably. It cuts between Joan and the devices before she faints. This is followed by a scene whereby monks ‘purge’ her, as if to hint at the bloody-horrors of the torture the devices are capable of. A small spurt of blood into a pan is as horrific as the torture devices themselves. The final sequence contrasts the burning of Joan at the stake with the chaos of the crowd as they believe a divine woman is killed. As the fire rages, we see a silhouette of a figure – the texture of the fire dominates the screen whilst her body is the only element that is clear. Different angles are shown of her, before she falls out of screen. After two hours of watching her trial and her refusal to bend to the wills of the monks (albeit briefly, she signs a document to save her own life before, minutes later, confessing she lied to save her own life and accepts her fate), we finally see her sacrifice. This is a film that, through Falconetti’s iconic portrayal of Joan of Arc, will always be placed on a pedastool. For a film that relies heavily on actors, Dreyer chose Falconetti after seeing her in a comedy and insisted she wore no make-up when on set. This brutal portrayal is personal and, again, gives a sense of honesty and truth to Joan. Even Antonin Artaud, a theatre practitioner famed for the concept of the theatre of cruelty, portrayed Jean Massieu in the film. Artaud believed that the theatrical elements should directly affect the audience – forcing the audience to release their suppressed emotions. 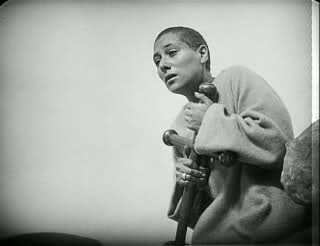 In The Passion of Joan of Arc it is clear that Dreyer wanted the audience to feel uncomfortable and shocked with what was happening on screen – the enormous faces become overwhelming in their dominance. One cannot help but become drawn into the emotions of the characters. Jonathan Rosenbaum writes that “like all great films, it reinvents the world from the ground up”. The Passion of Joan of Arc is taking the cinematic elements and taking them out – stripping it bare and exclusively focussing on a personal perspective and emotional response. Dreyer doesn’t ask for your time – he demands it.